All STAGECOACH HILLS homes currently listed for sale in San Antonio as of 04/20/2019 are shown below. You can change the search criteria at any time by pressing the 'Change Search' button below. 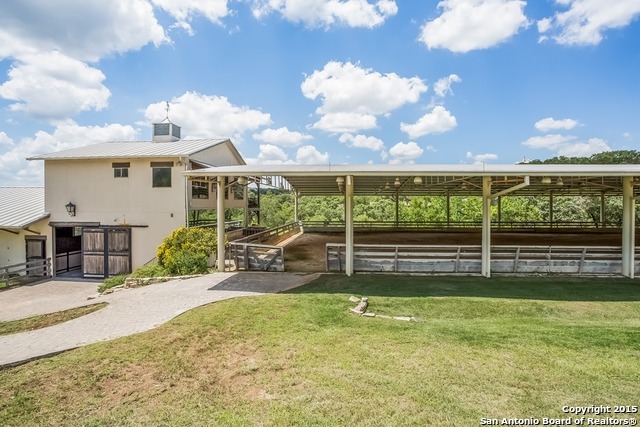 "19 of the most beautiful acres the Hill Country has to offer - Primed and ready as a horse enthusiast's paradise. Modern 2/2 house with vaulted ceilings, wood laminate floors, stainless appliances plus an office nook. But the showstopper is the custom horse facility that includes 7 custom stalls with runs, feed and tack rooms, washroom, 80x120 riding arena + elegant studio apartment overlooking it all. For extra consideration, 10k+ sq. ft home at 9226 Pony Express may be combined for an awesome"
"This stunningly updated, well maintained home sits on a secluded 1.4 acres. Enjoy the views and serenity from the 3 outdoor living spaces. Lovely kitchen remodel with shaker style cabinets, quartz counter tops and stainless steel appliances. Custom touches throughout the home including solid wood beams and wood accents. Large living area with an additional flex space for another living or dining area. Additional 200+- sf heated/cooled room attached to garage,currently used at workout room."